Lovers of Art will often visit art galleries to admire the works of their favorite artists, whether that be in the form of a painting, sculpture, textiles, performance, photograph etc. But who is to say that make-up can't be art? Who is to say that our faces cannot be our canvasses? 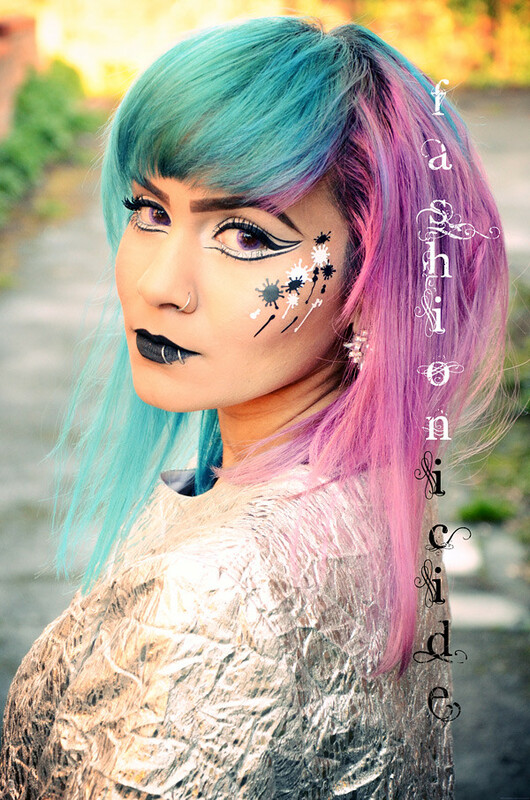 Frequent readers of Fashionicide will be well aware that I've upped my game when it comes to eye make-up over the past year, evolving from doing quite basic looks to looks involving much more colour with some artistic touches. So it was with great interest then, that I spotted the models at Liz Black's show at Freemason Hall in February wearing some very intricate stickers around their eyes. These stickers really caught my eye (see what I did there? ), to the point that as soon I as I got back to the hotel room at night I was straight on to Google hoping to find out more. 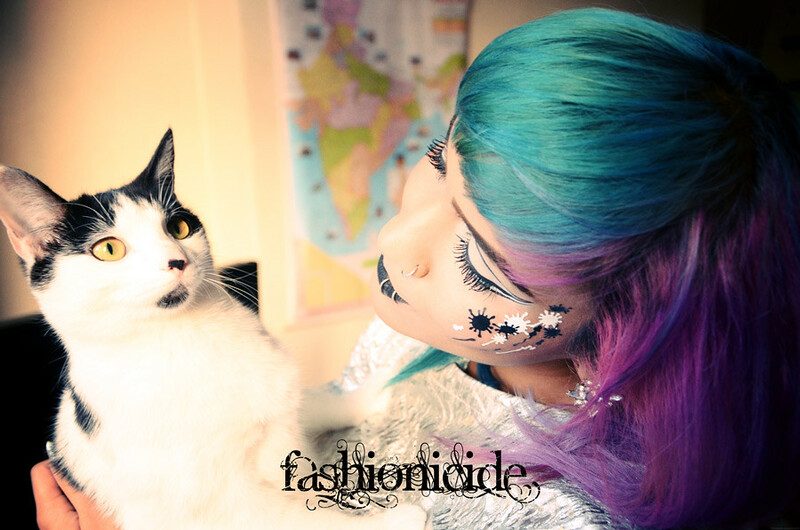 As it turns out *Face Lace have quite an impressive line-up of products on their site, falling into two main categories: Pre-designed looks, and DIY sheets. The pre-designed looks are very impressive indeed, but the DIY sheets allow you to create some looks of your own. Naturally, I chose both! They sent through a whole bunch of Splasheets of all different colours, within each sheet there's a range of various different splashy shapes with the idea being that you can create your very own look. With so much to choose from my brain went into overdrive thinking of all the possibilities, though if you look carefully enough I have posted a photo on my Instagram using one of the splats as a bindi! 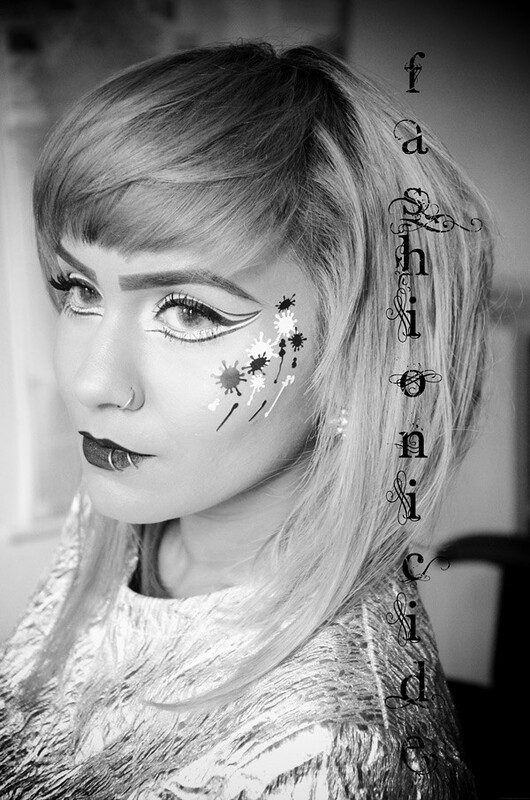 The look I've created today using the splashes came about almost by accident. I was going through my usual make-up routine and inadvertently ended up with a monochrome look around the eyes, which reminded me that I've got black and white splasheets! The rest, as they say, is history. The pack second from the left should be called 'The Emperor's New Splash'! I really like the whole concept behind these stickers, as they enable those who want to create amazing designs around their eyes, but lack either the time or the talent to do so, the opportunity to do so within seconds. 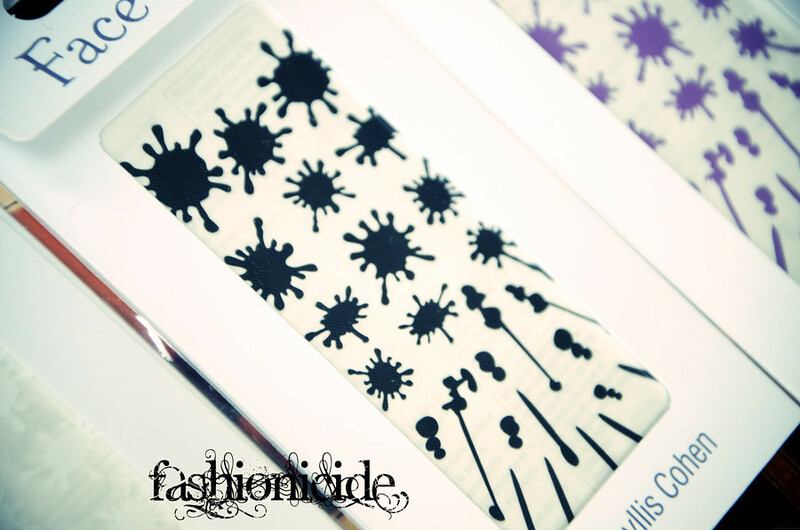 Whereas the DIY sheets can take your looks to the next level, by adding a new dimension to your make-up. 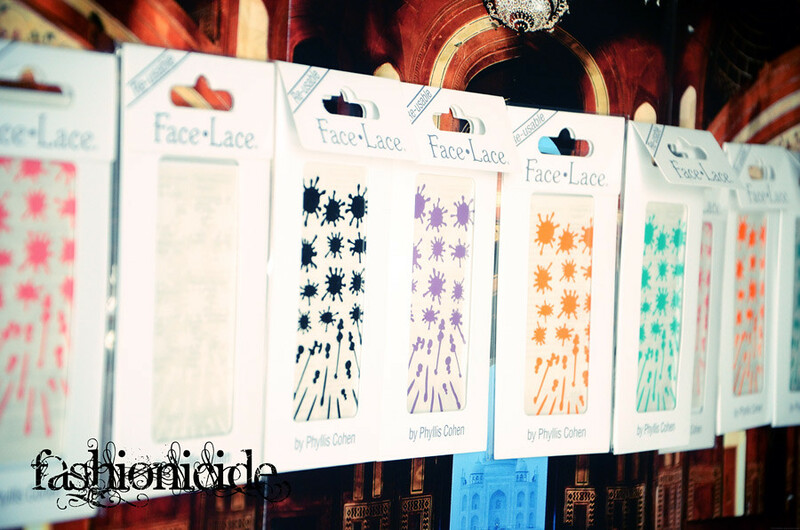 You can purchase the stickers from *Face Lace, the splasheets come in 6 different colours and cost just £2.92 per sheet. The pre-designed looks come in a variety of different sizes from £8.92 to £25.79. All stickers purchased are reusable. Get in! Wow is that really you, The pics are stunning. Firstly, what an amazing blog you have. Wish I discovered it sooner, great outfits, hair and images. 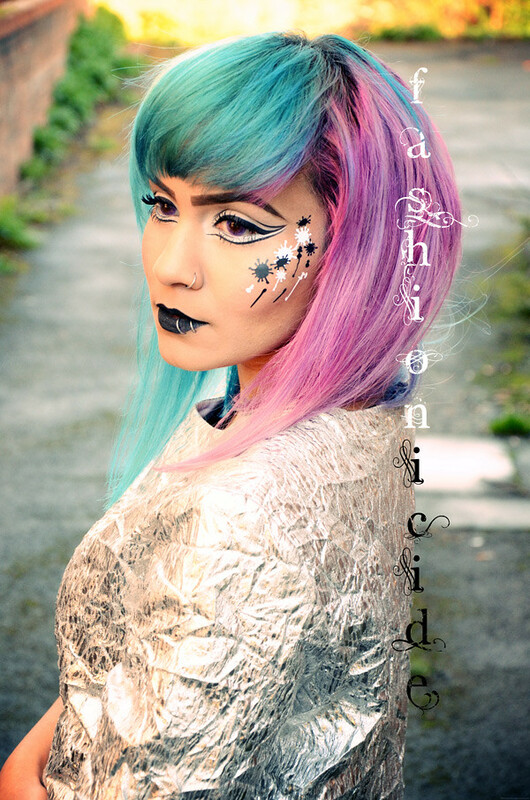 I've never tried art work on my face as a fashion statement, only when doing fancy dress. Will have to give it a go as it looks great. Will let you know how I get on. que look mas original tienes, me quedo por aquí, saludos! 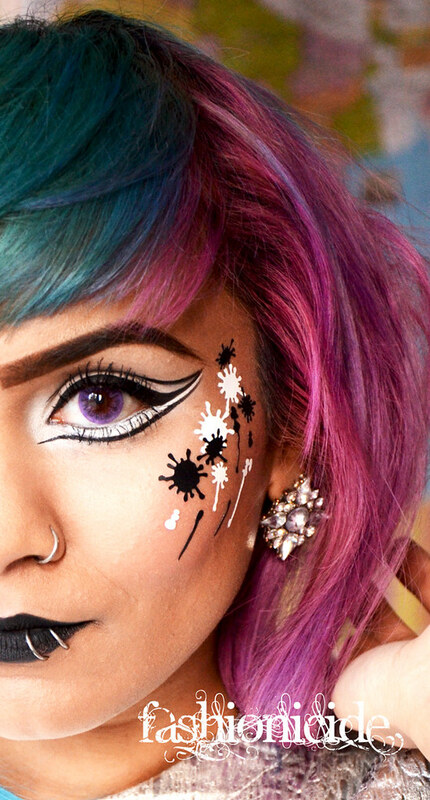 Makeup can definitely be an art form if done this creatively! omgosh this is just amazing!! you look gorgeous i love your makeup you're so talented!! Omg!!! You looks simply amazing. Love your makeup. Wish I had your skills! I need these stickers in my life!! you look lovely, and these stickers look interesting! Oh wow you look absolutely amazing, i would not be able to pull that off. Oh dear, I've never heard about them but they look unique indeed! This make up is incredible. Love the look so much. I'm definitely inspired to have more fun with my eye make up!